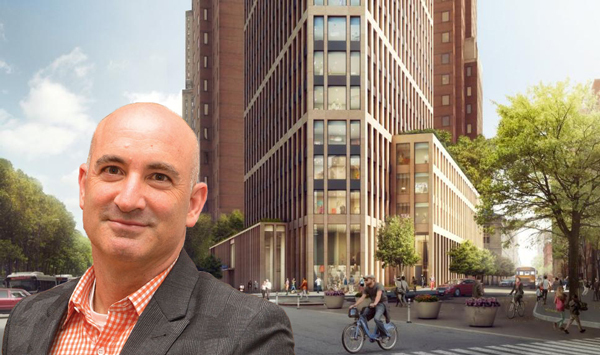 Hudson Companies landed a $280 million construction loan for its mixed-use, library and condominium tower in Brooklyn Heights. Starwood Property Trust and Related Fund Management provided the debt, which closed Thursday, according to the Wall Street Journal. Starwood provided $200 million and Related filled in the rest. Hudson bought the site from the city for $52 million in a deal that paves the way for a new library and 134 condominium units. “This is the poster child for public-private projects,” Hudson Companies president David Kramer said. The $470 million project at 280 Cadman Plaza West includes a 36-story tower with a 26,620-square-foot library and a 9,000-square-foot science, technology, engineering and math laboratory for students. The project is expected to be completed in 2020.